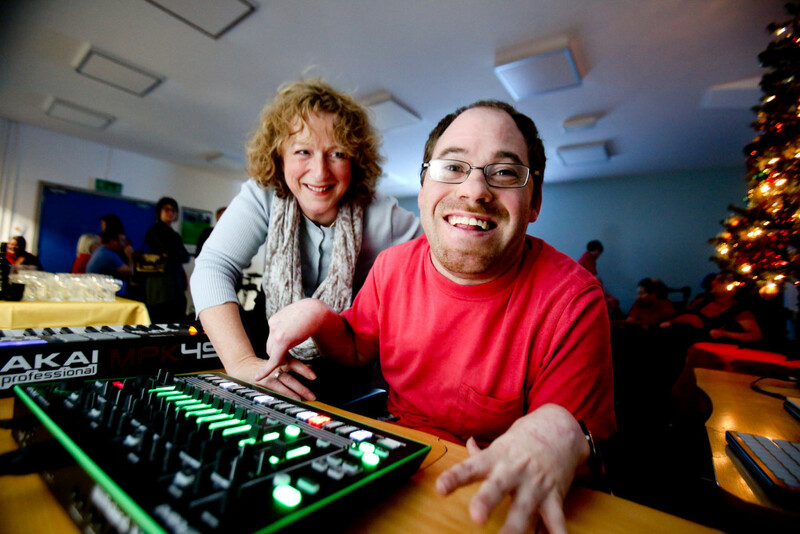 MORE than 600 disabled people will now be able to compose and perform their own music, thanks to a new state-of-the-art studio and ensemble workshop on the Springfield Road. Drake Music NI’s new premises in West Belfast will enable it to double the number of people it works with using its unique computer music technology. Music Director Michelle McCormack said it was an improved, fully accessible space for the creation, composition and rehearsal of music. “This year 320 people across Northern Ireland participated in our ensembles and performances,” said Michelle. “Our increased studio space and recruitment of extra tutors, means we will be able to double the number of people participating in our workshops. It is very exciting news for people of all ages and abilities who want to make music. One participant is Finaghy’s Mary Louise McCord, who has been attending Drake workshops and making music for 20 years. Earlier this year in a special three-day collaboration project between Drake and the Sonic Arts Centre at Queen’s, Mary Louise directed the design of a digital glove and linked controller which allows her to make use of her upper body gestures to compose and perform her own music.